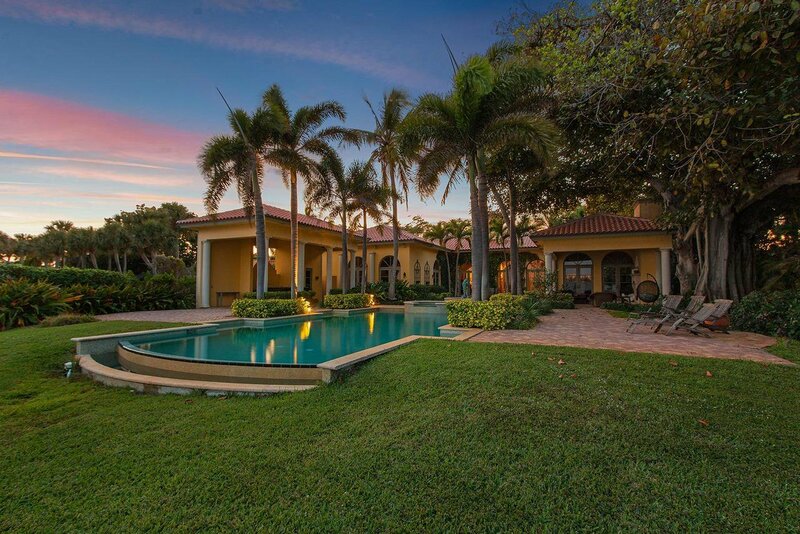 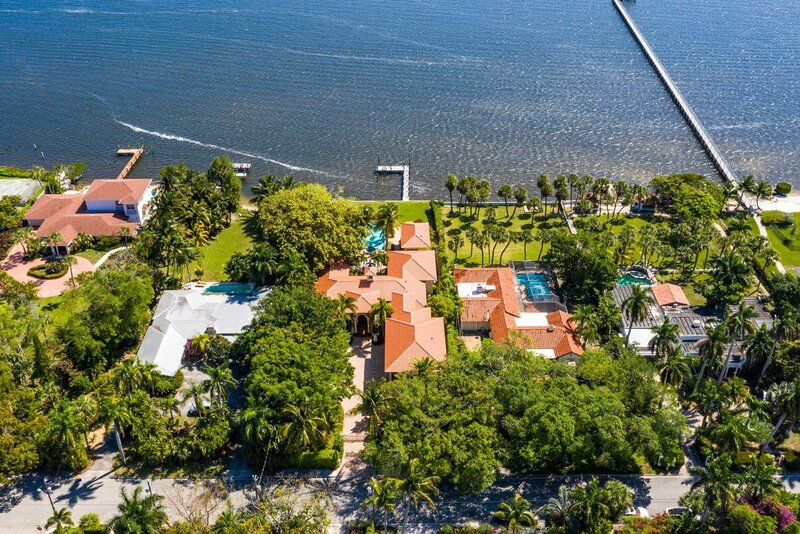 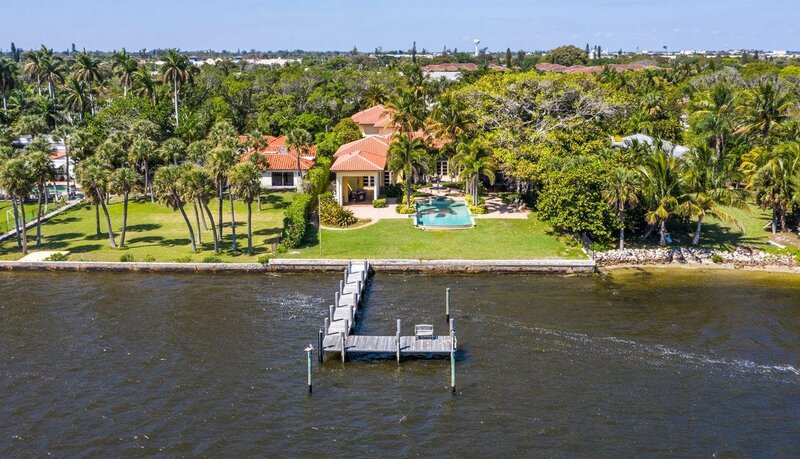 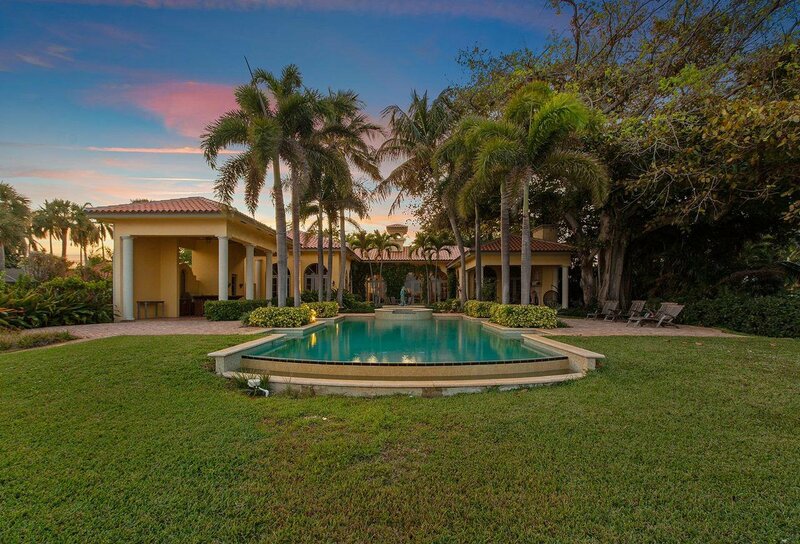 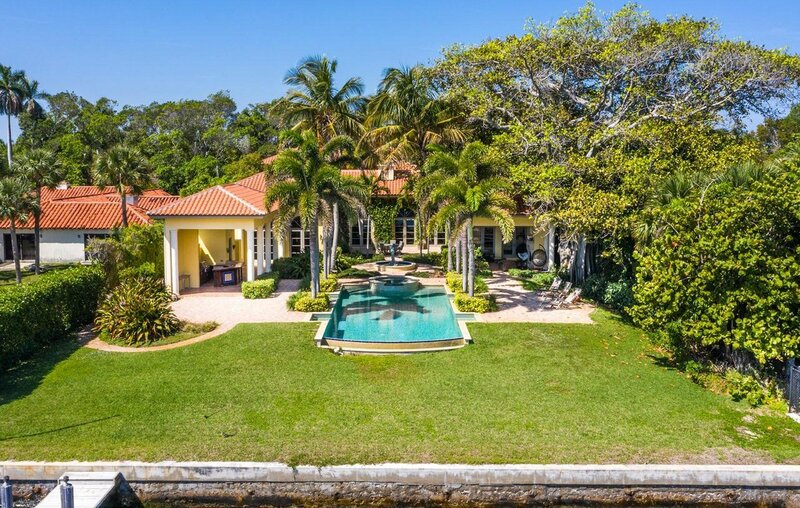 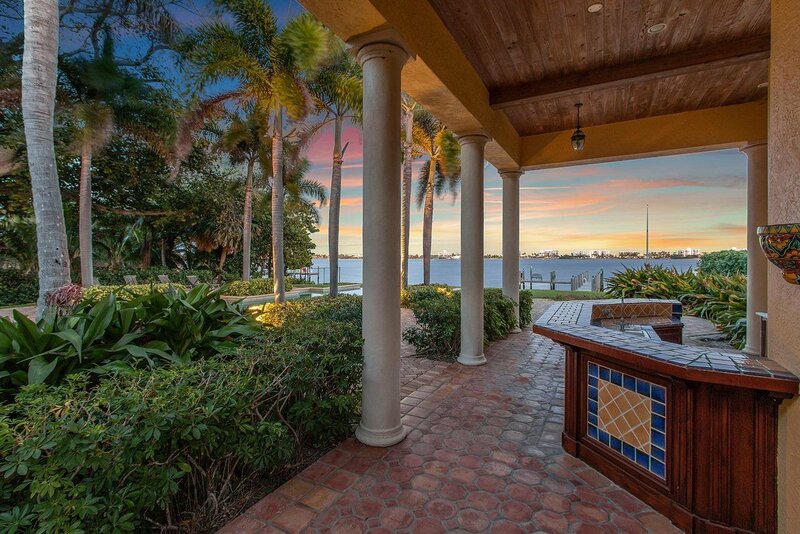 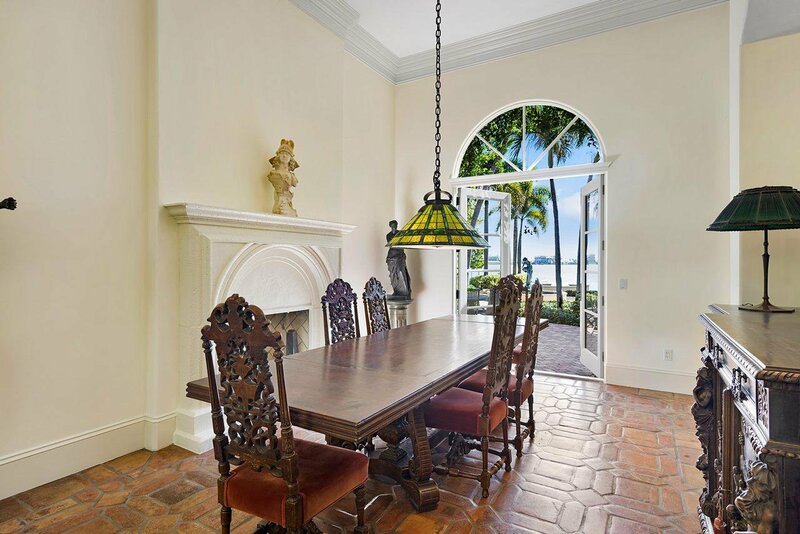 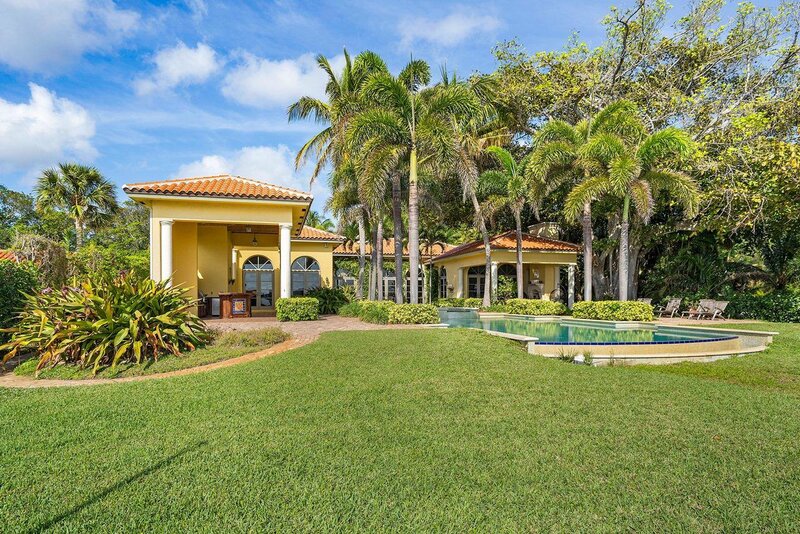 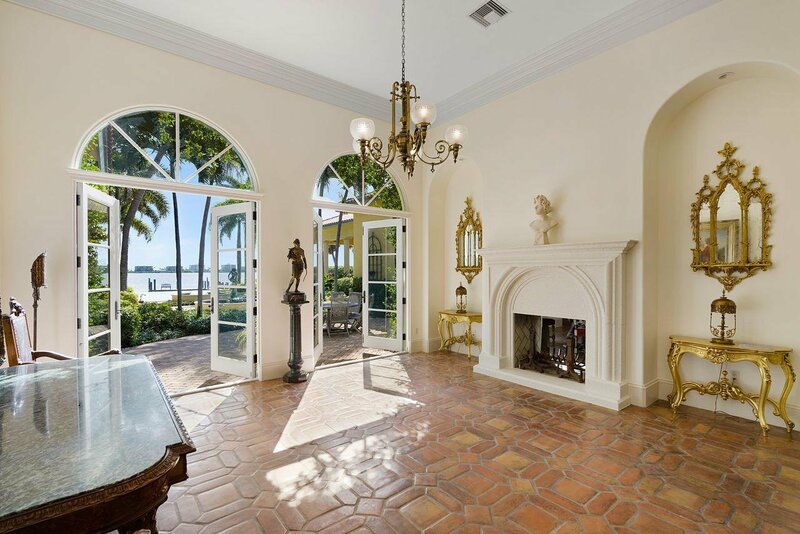 With Intracoastal views of the Palm Beach skyline, this estate home is a perfect romantic paradise. 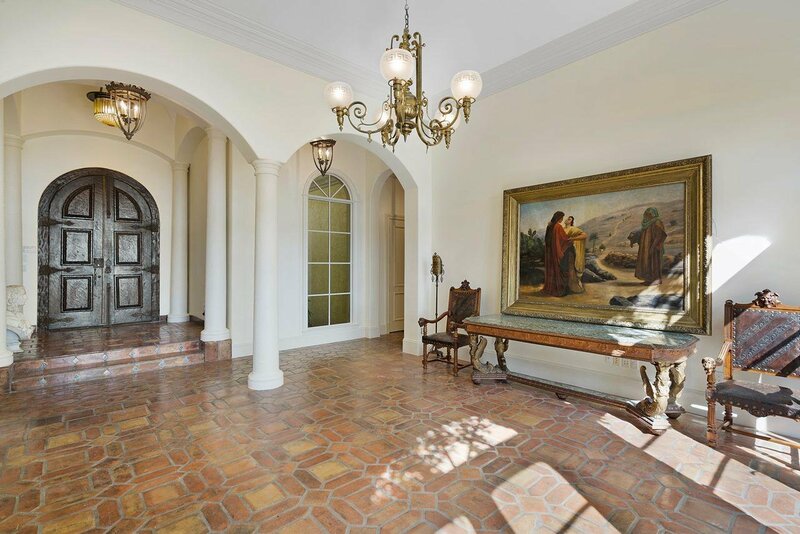 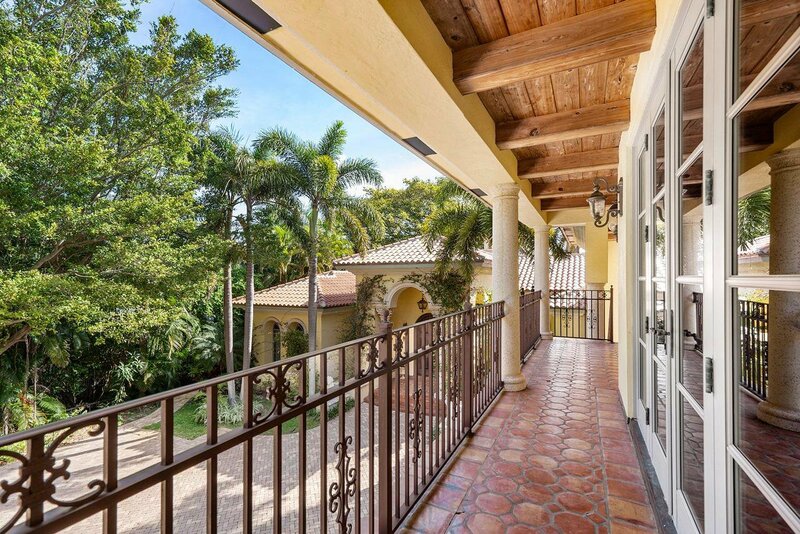 This beautiful Mediterranean gated estate is known as ''Casa Que Chanto, ''the house that sings.'' 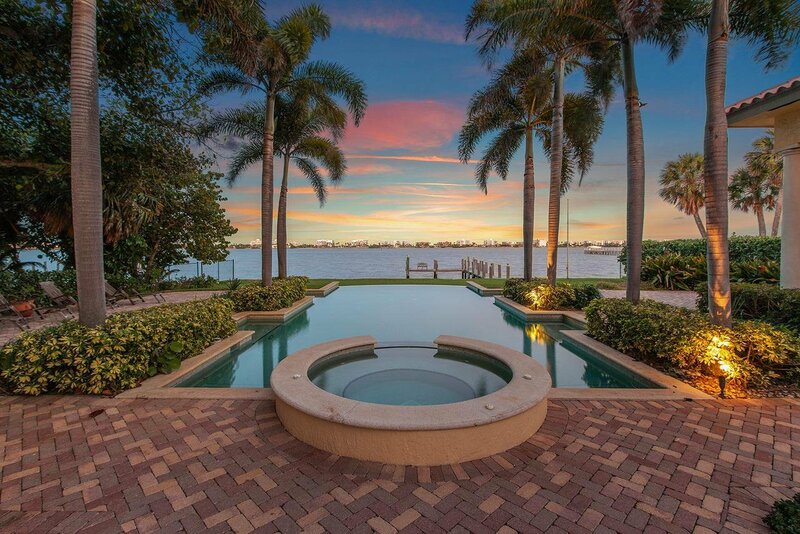 It offers gorgeous romantic views of the water and the Palm Beach skyline. 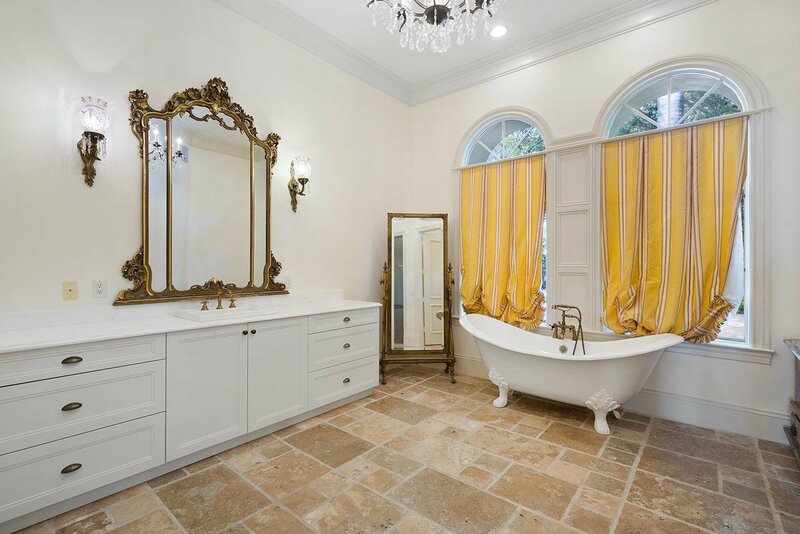 This luxurious 4,400 sq. 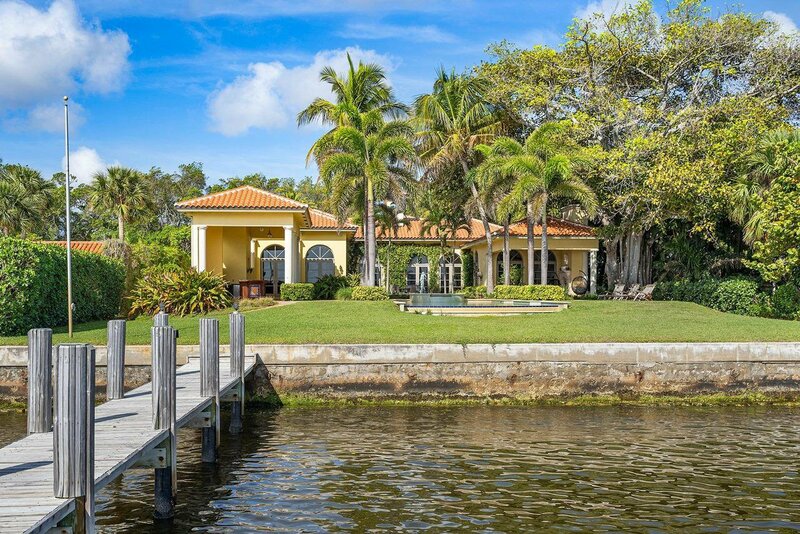 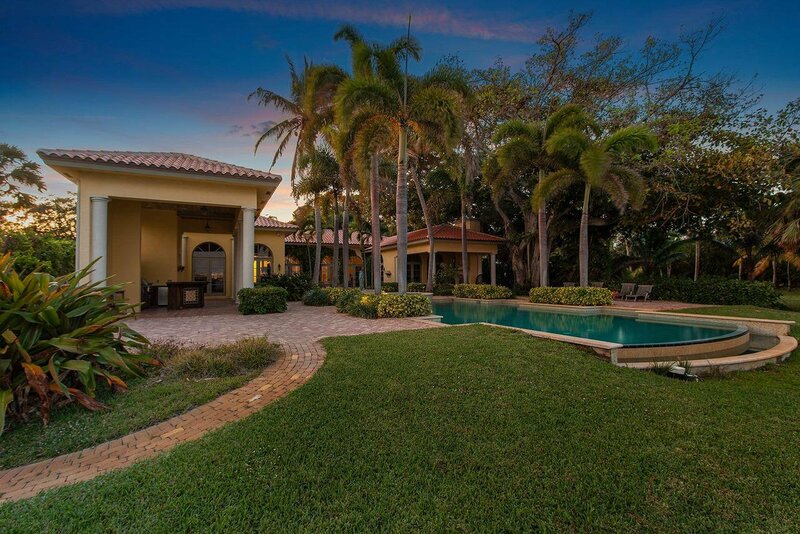 ft. estate home provides you with a fabulous entertaining capability with wide water views from all main rooms. 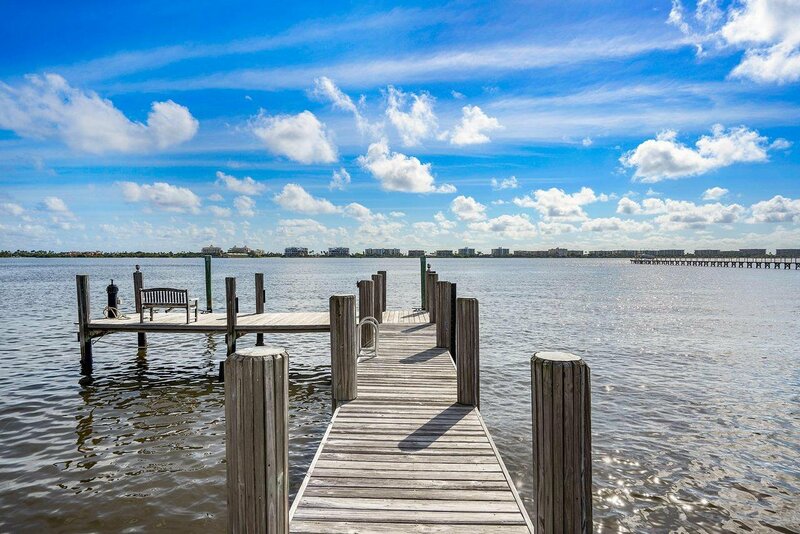 For the boater, there's a 100' dock with sea wall allowing for easy ocean access with no fixed bridges. 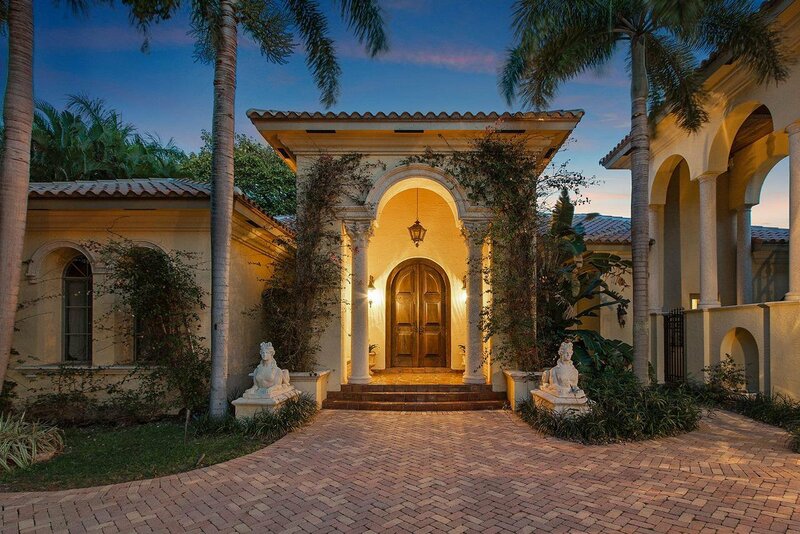 As you drive into the paved entry through the electronic security gate, you're treated to the breathtakingly columns surrounded by lovely pink bougainvillea that adorn the porch leading to the arched 16th century antique church doors imported from Brazil. 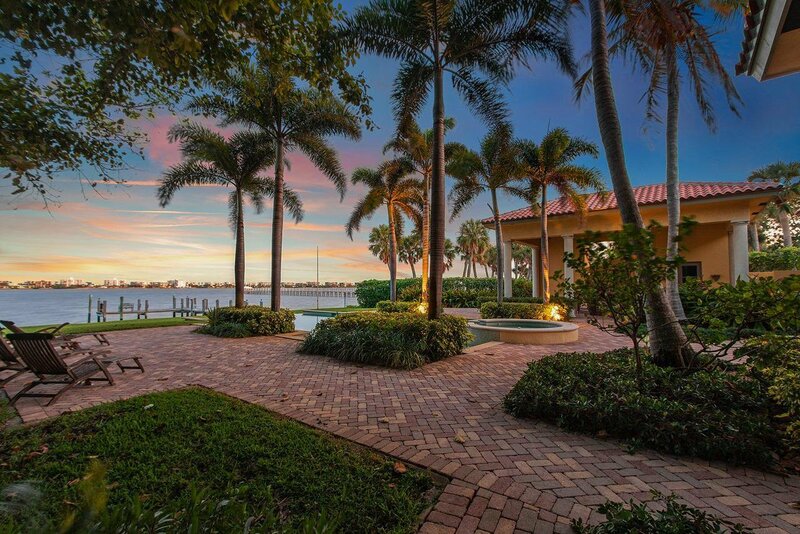 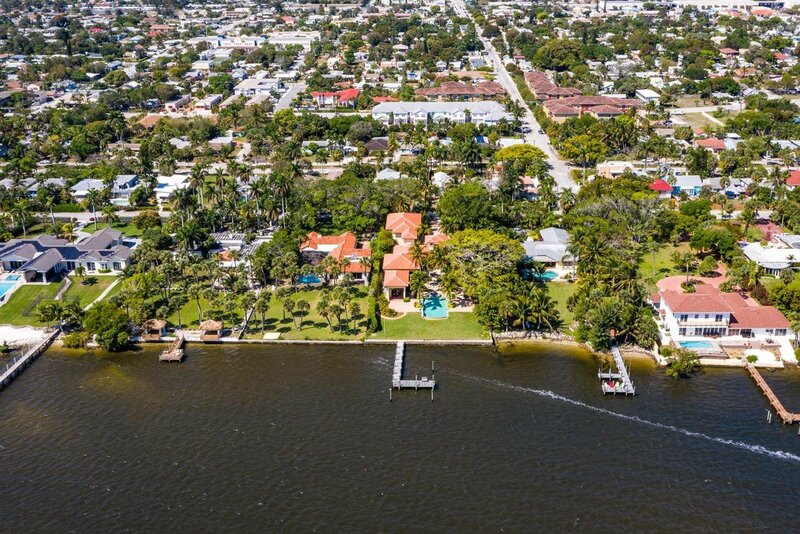 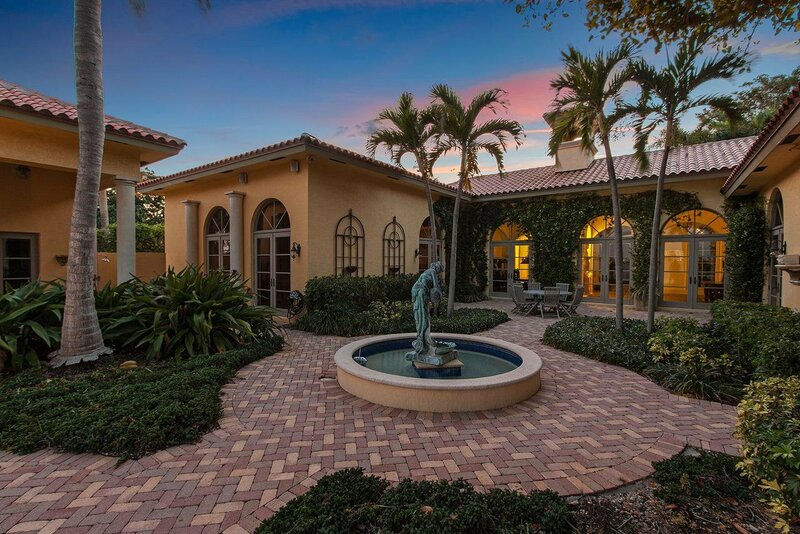 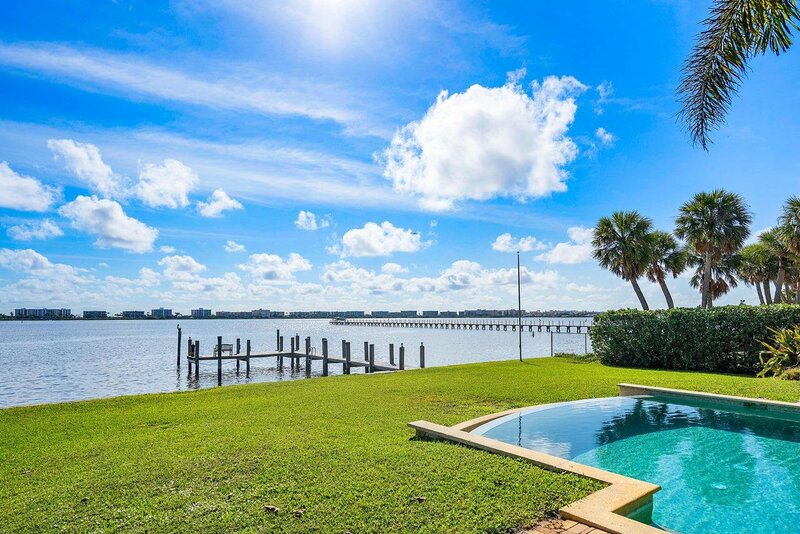 Enter the foyer for a spectacular view of the waterway and the distant Palm Beach city skyline and be impressed with the spacious open floor plan, 14' crown molded ceilings and beautiful clay-tiled floors. 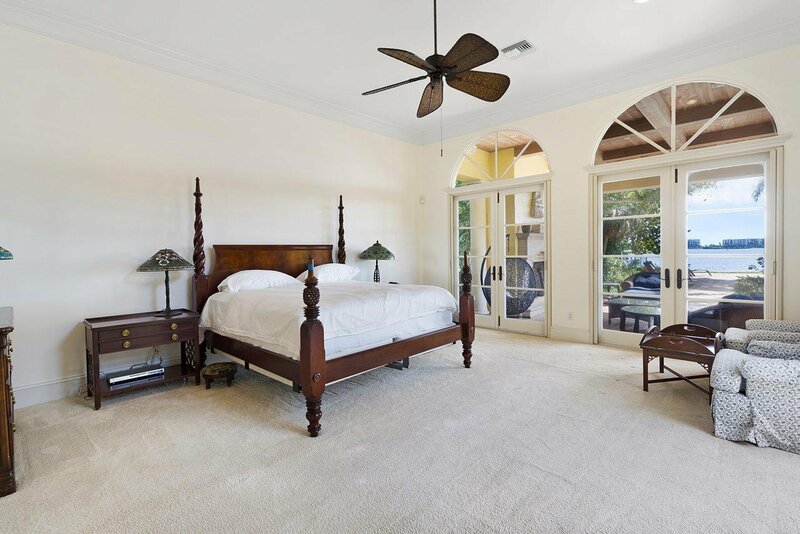 You'll appreciate the flow and easy access between rooms, from the living room, formal dining room, private den/office, and very large great room featuring a solid wood, custom built wall-to-wall bookcases with entertainment center. 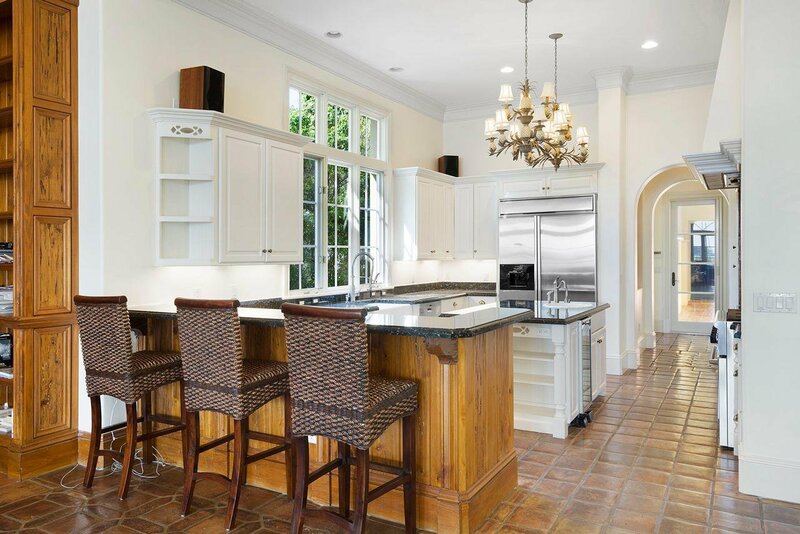 The large gourmet kitchen features a center-island prep area with sink and built in storage shelves. 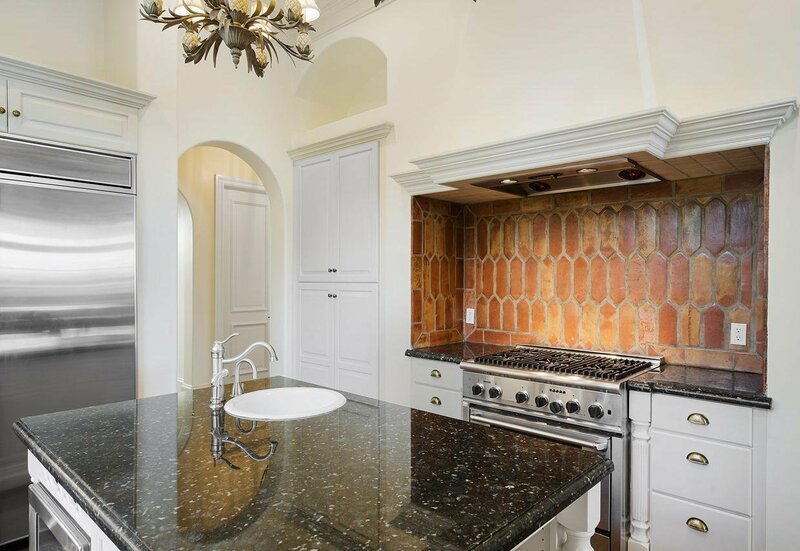 You'll love the stainless steel appliances, granite counters, hooded gas range with beautiful custom tile backsplash, plentiful counter prep space, custom sink, pantry and breakfast bar that's perfect for casual meals and entertaining in the great room. 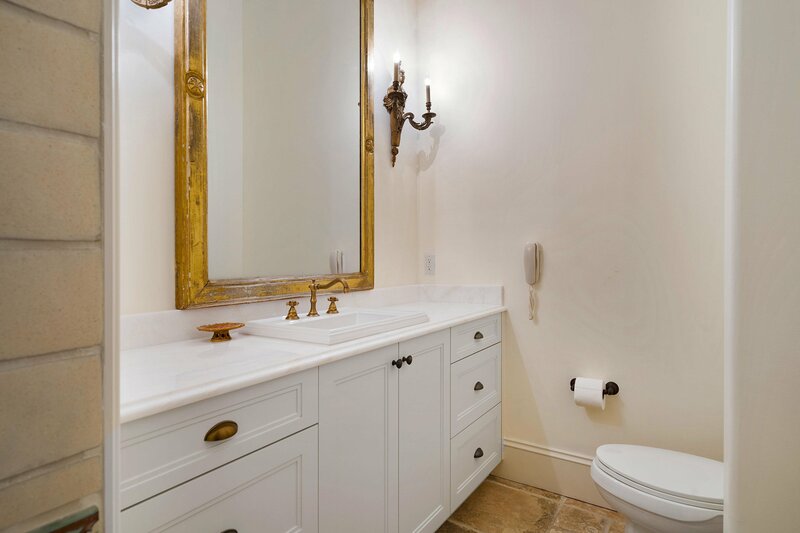 Located on the main floor, the master suite provides romantic, panoramic skyline views with a gas fireplace just outside the bedroom. 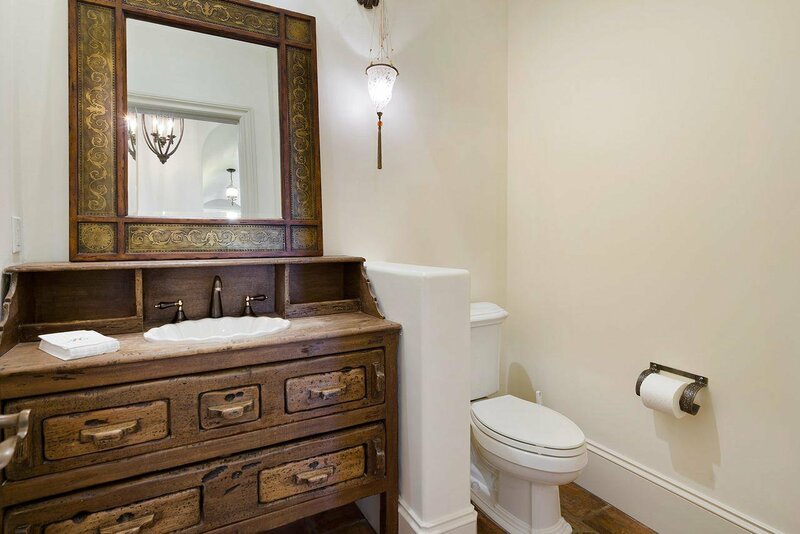 The master bath has dual sinks, bidet and a separate shower and Roman tub. 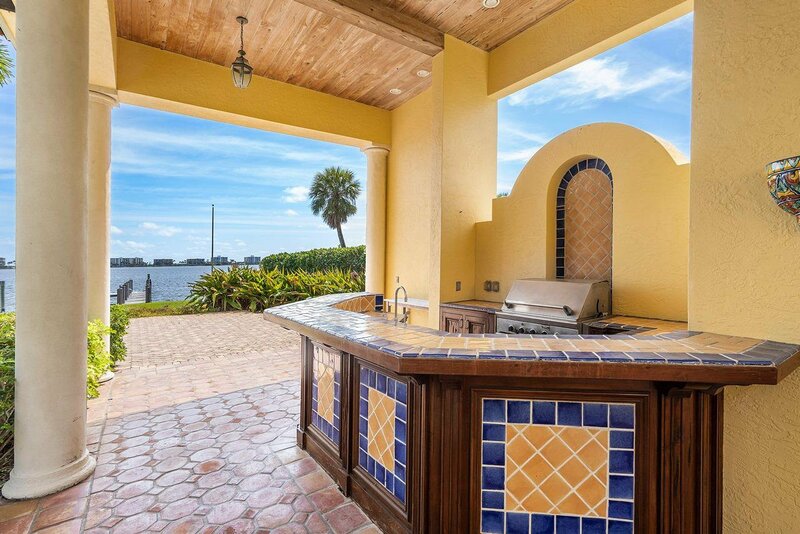 French doors lead directly from the bedroom to the tongue-in-groove cedar wood covered outdoor loggia, bar and covered patio with built-in grill. 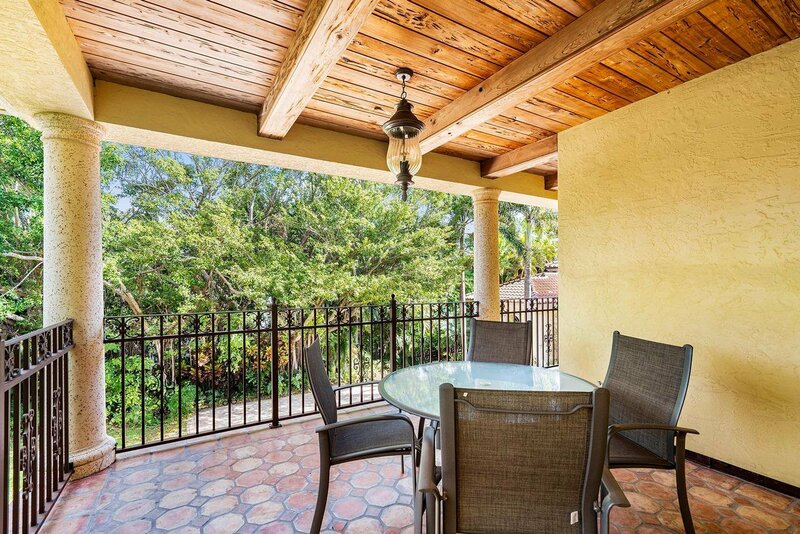 The artistically designed patio area has mature landscaping, a beautiful backyard banyan tree, and for those romantic evenings, beautiful custom lighting to set the perfect mood. 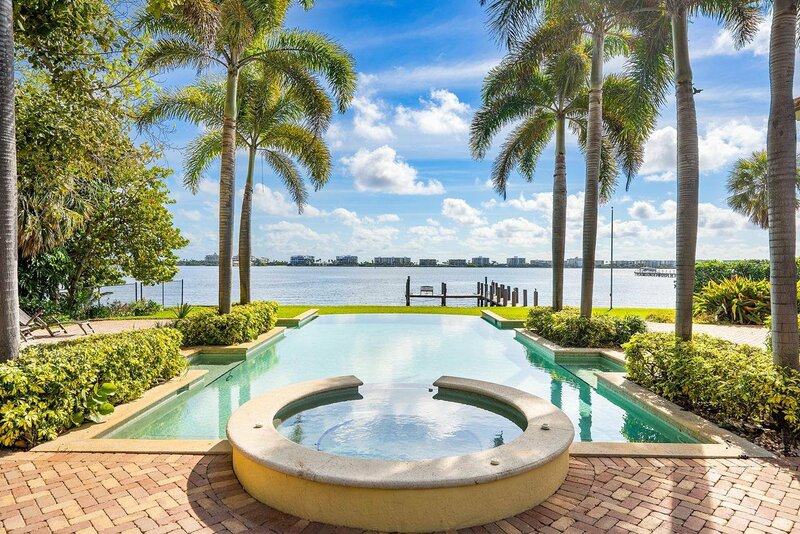 You're just steps away from the waterfront, or if you prefer you can relax in you Infinity edge pool with spa with a separate cabana bath and outdoor shower for the ultimate in convenience. 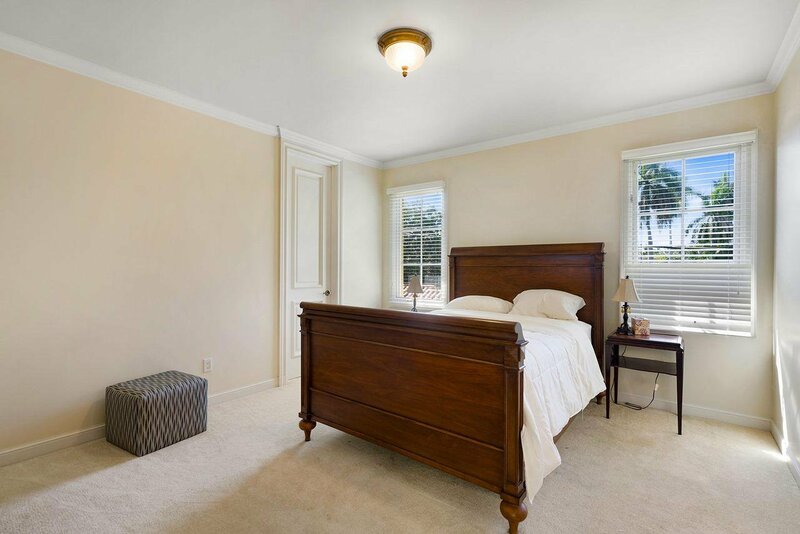 Other amenities include an attached 4 car garage (and 3 + spaces) with upper floor mother-in-law or maid's apartment with laundry. 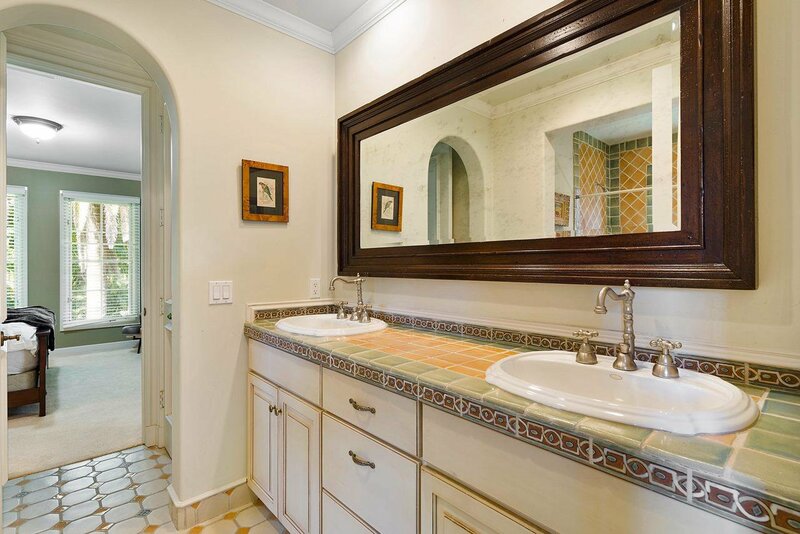 The home is fully equipped with impact glass and whole house natural gas generator and whole house reverse osmosis water filter. 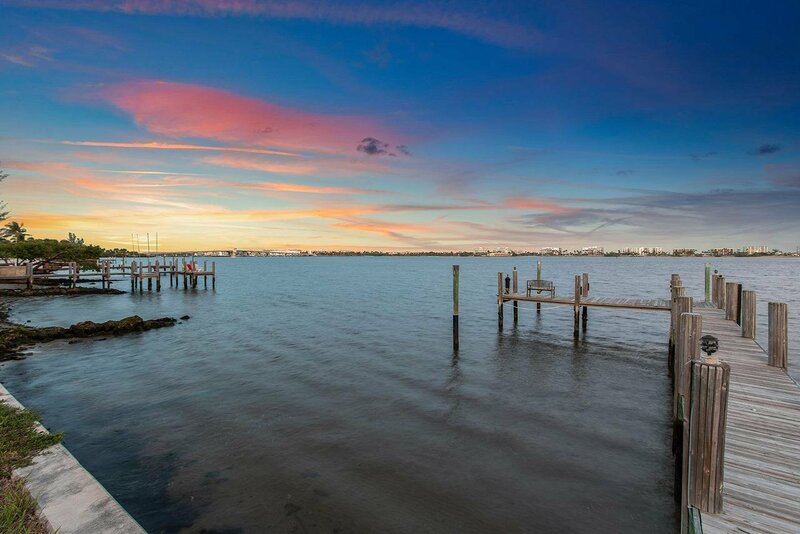 You're also close to some of south Florida's premier dining and shopping areas.